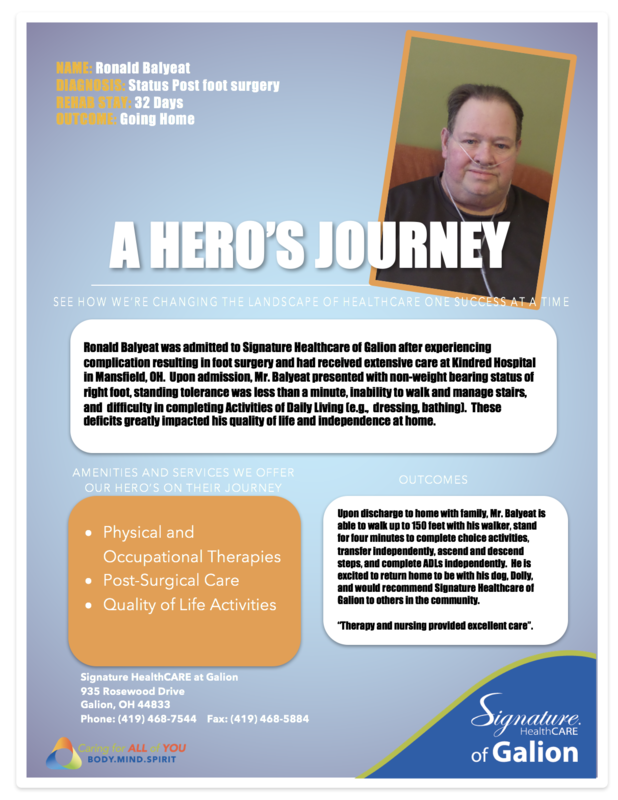 Ronald Balyeat was admitted to Signature Healthcare of Galion after experiencing complication resulting in foot surgery and had received extensive care at Kindred Hospital in Mansfield, OH. Upon admission, Mr. Balyeat presented with non-weight bearing status of right foot, standing tolerance was less than a minute, inability to walk and manage stairs, and difficulty in completing Activities of Daily Living (e.g., dressing, bathing). These deficits greatly impacted his quality of life and independence at home. Upon discharge to home with family, Mr. Balyeat is able to walk up to 150 feet with his walker, stand for four minutes to complete choice activities, transfer independently, ascend and descend steps, and complete ADLs independently. 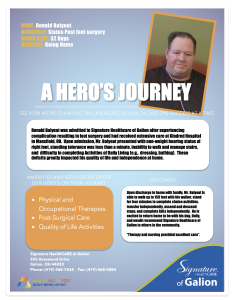 He is excited to return home to be with his dog, Dolly, and will miss his friends at Signature Healthcare of Galion.